We have been building up to Rally Day for a while and now the big moment is upon us: this Sunday! Kids, parents, college students, adults, members, friends, and neighbors -- come join us for this exciting day to recharge our community and ministry this fall! 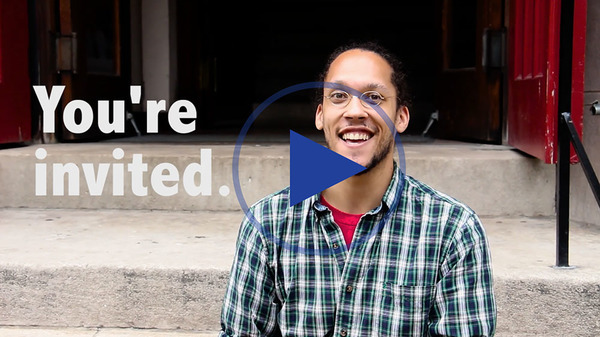 We made a special invite video to welcome you to Rally Day this Sunday. Click the picture below to watch. Maybe you've been wondering, what's actually going to happen at Advent on Rally Day? Well here's a sneak peak of what to expect. At worship (9am & 11am in English, 12:45pm in Spanish): Pews filled with Advent congregants returning from summer vacations to reunite in joyful worship on this special day. Hymns accompanied by our beautiful new Steinway D concert grand piano. At 11am worship our Advent Chorale will share a festive musical offering. At the Rally Day Celebration (10-11am): Both kids and adults buzzing around our basement fellowship hall exploring a vibrant array of activities. A ministry map vividly laying before you all 40+ ministries happening at Advent right now. Learn about bird calls and biodiversity, decorate cookies while learning about our Food Ministries, learn about water justice with toy fish and colored sponges, and hold some of our oldest Advent worship-ware right in your hands -- this is just the beginning of all there is to do. You will have the opportunity to learn about all of our ministries and see which interest you. But we'll especially be lifting up ministries whose faithful volunteers are most in need of more partners in ministry this year, including: the Advent Chorale, After-School Program teachers, Altar Guild, LaMP Cooks, and Food Ministries. At the Rally Day Special Coffee Hour (12-1pm): If you can't make it to our Rally Day Celebration, we'll continue to have ministry information and leaders available in the basement fellowship hall after 11am Worship/before 12:45pm Worship. Join our choir, the Advent Chorale. 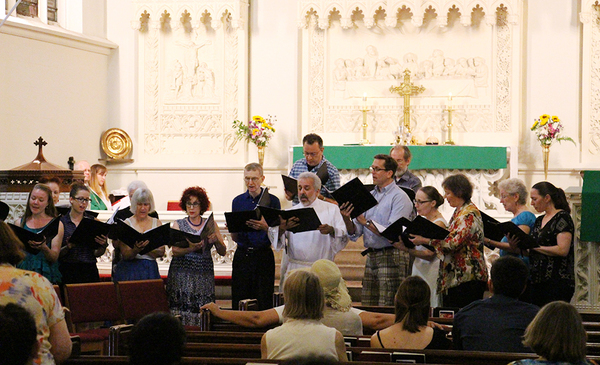 The Advent Chorale began rehearsals last Thursday, but you are still welcome to join! If you're interested in singing in our choir this year, email director Aaron Wunsch at aaron@adventnyc.org to get started. More information about the Advent Chorale can be found here. Be a Sunday School teacher this school year. It's easy, rewarding, and fun! All teaching materials are provided for you each week, you get to teach with a partner (which make it more fun, and makes it easier if you have to miss a Sunday), our Sunday School Coordinator Zachary will train you personally, and, most importantly, you get to build amazing relationships with families here Advent. We still need a few more teachers to complete our Sunday School team this year! Could you be our answer? Email Zachary, our new Sunday School Coordinator, at zachary@adventnyc.org to get more information or let him know that you're interested. We've got many programs starting up in the next couple of weeks. Stay in the loop on everything going on at Advent with our Ministry Calendar. Gospel Text | Luke 16:1–13: Jesus tells the Parable of the Dishonest Manager. Sunday School | Kick off the school year at our Rally Day Celebration from 10-11am! Adult Conversation | The Rally Day Celebration is for adults too! Nearby our Adult Conversation will be talking about voter activism in the conference room at the back of the basement fellowship hall.